Discover The Hottest Work At Home Opportunities Online! If you've been looking to supplement your income, or even carve out a FULL TIME INCOME online, this report has the information you've been looking for! 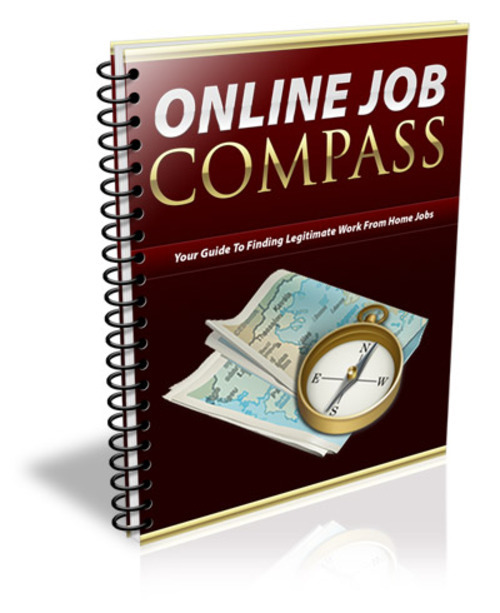 "Online Job Compass" uncovers the hottest work at home opportunities online and reveals the best places to find fast-action income generators, without ever having to worry about scams, schemes or gimmicks - just verified work at home opportunities from legitimate sources! * Find out how you can make money with high paying freelance opportunities, instantly! * The top work at home opportunities that are 100 legitimate, guaranteed! * How to avoid being scammed by questionable offers and bogus companies! * The fastest way to find the highest paying work from home jobs online, absolutely FREE! * How to verify a company's reputation and legitimacy before you accept the job! * How you can make money creating your very own work from home opportunity!